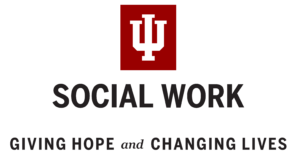 The Indiana University School of Social Work (IUSSW) invites applications for an Assistant Research Professor (ARP), a twelve-month non-tenure track position starting in August 2019. The Assistant Research Professor is responsible for developing and enhancing coaching, technical assistance, and quality improvement initiatives that support the use of outcome management tools in practice by behavioral health and social service practitioners, programs, organizations, and systems. The successful candidate will join an Indiana University School of Social Work (IUSSW) team that works closely with the Indiana Division of Mental Health and Addiction (DMHA), other state agencies, and providers to effectively integrate data-informed planning, monitor outcomes, and improve the quality of services. Primarily located in Indianapolis, the ARP will be expected to travel to community service and educational sites as needed. The Indiana University School of Social Work (IUSSW) is a university-wide system school with an MSW Program accredited by the Council on Social Work Educations since 1923 and a BSW Program accredited since 1975. The IUSSW is headquartered at Indiana University-Purdue University Indianapolis (IUPUI) and uniquely houses a Department of Labor Studies. The School has programs on campuses across the state of Indiana including Indianapolis, Bloomington, Richmond, Gary, New Albany, Fort Wayne, and South Bend. As the primary provider of Indiana’s social work workforce, the School enrolls approximately 1,600 students across programs (PhD, MSW, BSW) and campuses. The mission of the IUSSW is excellence in education, research, and service to promote health, well-being, and social and economic justice in a diverse world. Essential qualifications for the Assistant Research Professor include a master’s degree and an earned doctorate in social work or related field(s). The selected candidate must have skills and experience in designing and implementing research studies; collecting, managing, and analyzing data; and writing evaluation or research reports. Knowledge of mental health and substance abuse services for children, youth, families, and adults is required. Subject matter expertise in behavioral health, implementation science, evidence-based practice, and the use of the Child and Adolescent Needs (CANS) and Strengths or Adult Needs and Strength Assessment (ANSA) is preferred. In addition, the successful candidate should possess good written and oral communication, organizational, and problem-solving skills as well as previous experience with teaching or coaching. Abilities to track, manage multiple tasks, set priorities, and work with a wide range of people are essential. Salary is competitive and commensurate with qualifications and experience. Grant funding has been secured through December 2020 with additional streams of funding being pursued. To apply, please review the application requirements and submit an online application at http://indiana.peopleadmin.com/postings/7523. Review of candidates will begin in April and will continue until the position is filled. Transcripts will be required of individuals invited for an interview.